Once an ancient capital of China, Datong has earned the reputation as one of the world’s ugliest cities. The controversial, Communist Party Mayor, Geng Yanbo, has come up with a radical reform plan to recreate Datong’s four, great ancient walls whilst creating a new solar energy industry. This requires a great sum of money in a stagnanted economy, and mass-scale demolition. Geng is heavily criticized, but works non-stop to inspect construction and fend off violent protests against forced eviction. He must "invent" money through land sales, and pioneer a clean administration while striking deals with polysilicon global giants. A student of classical Chinese poetry and Taoism, Geng believes that our deeds should serve our times, and that the people’s ultimate “good” will justify his sacrifice. 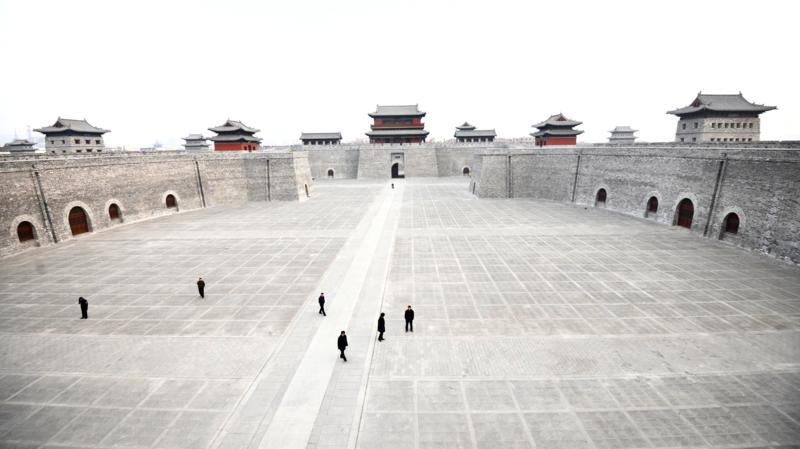 Datong joins the Chinese cities’ race for relentless GDP growth, asking whether the world’s most secretive national development model, merging Mao, market and ancient Chinese wisdom, will lead to collapse or real prosperity. Zhou Hao, born in 1968, started his career as a photographer for China’s national news group Xinhua News Agency and Southern Weekly, the country’s most influential weekly newspaper. His debut documentary “Hou Jie Township” (2001) won the Black Pottery Award (Best New Professional Reward) at the Yunnan Multi-Culture Visual Festival. Zhou went on to direct “Senior High” which won the Humanitarian Award for Best Documentary at the Hong Kong International Film Festival in 2006, followed by “Using”, which won the Asia Award at the Taiwan International Documentary Festival 2008. Zhou has served on jury panels at the Chicago International Festival, Taiwan International Documentary Festival and Guangzhou International Documentary Film Festival. Zhou Hao is the director of 21st century Image Studio and runs sinoreel.com, an independent documentary exchange website in China.